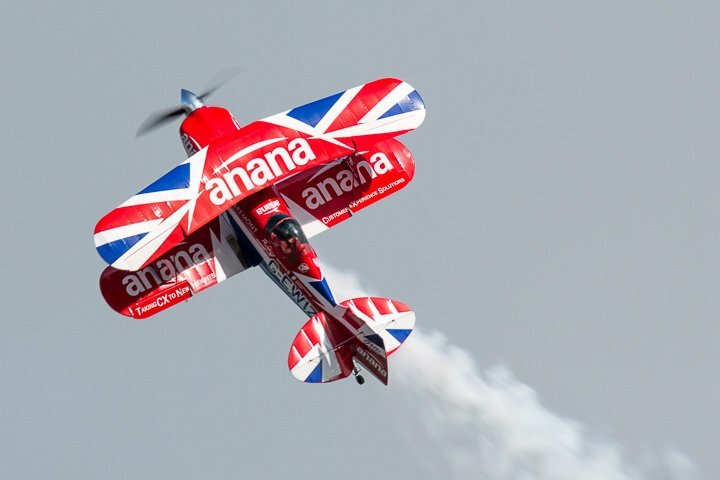 The Abingdon Air and Country Show promises to offer a superb line-up and excellent value once more as it celebrates its 20th anniversary. The first of the air displays were announced in September. These included the spectacular Richard Goodwin who will once again thrill with his unique display in the Pitts 'Muscle' plane, including the car chase first seen at Abingdon in 2018, and Paul Freeland in a SIAI-Marchetti SF-260. Another rarely seen aircraft, North American NA-64 Yale, will be in the flying and the static displays and the Stampe Formation Flying Team, often referred to as the 'Belgian Ballerinas' will display in four Belgian Stampe biplanes. Aerosuperbatics WingWalkers will fly at least two, but possibly a 3-aircraft formation: they have previously displayed here as a pair. Making their Abingdon débuts will be The Fireflies in their pair of RV-4 aircraft and Air Leasing's Republic P47 Thunderbolt 'Nellie'. The Boeing Stearmans, RV4s and Thunderbolt will also be on static display. Altogether over 80 aircraft will appear in either the flying display or the fly-in and most of the display aircraft will also be on the ground. Weather permitting, there will also be 5 tethered ballons. There will also be a parachute drop from an Antonov AN-2 by Jump4Heroes, Nick Houghton in a Beech 18, the Little and Large Extra Duo, Bob Grimstead in his Fournier RF-4 Motorglider, Will Greenwood's Yak3-U, the Scout, Sioux, Beaver and Auster from the Historic Army Aircraft Flight and a spectacular fly-in of around 70 aircraft. On the ground will be Classic Jets radio controlled models, WW1 and WW2 re-enactors, Hawkwalk Falconry and other birds, The Rockets Children’s Motorcycle Display Team, Magic Peter, Radio Days Big Band, The Mangledwurzels, Cornucopia Clog Dancing, Wallingford Dog Agility Team, Flight Simulator, ex-military and classic vehicles including commercials and motorcycles. 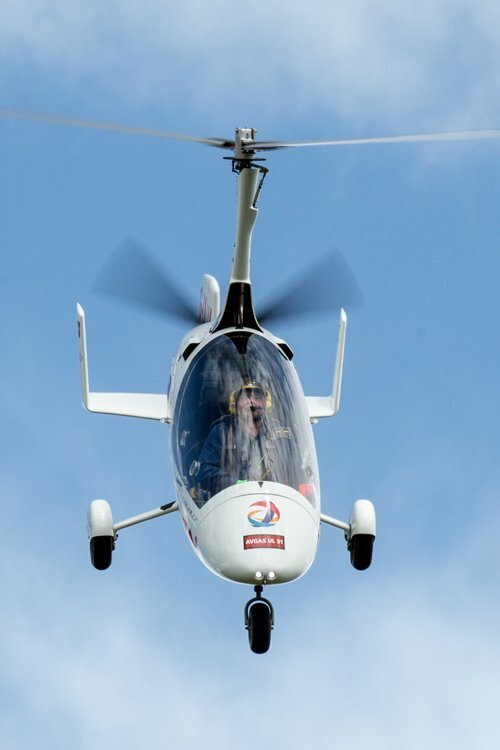 Cotswold Helicopter Centre will provide a Twin Squirrel for Pleasure Flights and there will be Axceler-8 Hovercraft Rides. For 2018, the 19th Abingdon Air and Country Show moved back to its traditional Bank Holiday Sunday slot. The show celebrated the 100th anniversary of the Royal Air Force. As well as flying displays and an impressive static line-up, the show was, as always, a showcase for local organisations, with plenty for all ages to do and to see. Some of the 2017 favourite flying displays were booked to return. In the air, the incomparable Richard Goodwin raced a car and the Great War Display Team were early confirmations, as was a de Havilland Chipmunk to support the RAF 100 theme. Also popular were a Beech 18, Mark Petrie's repainted BAC Strikemaster, Plane Sailing's Catalina, the Jump4Heroes Parachute Display Team and radio controlled models from Classic Jets. Most of the flying aircraft were also on static display, and the statics also featured a range of aircraft with RAF connections as part of the RAF100 theme: to celebrate the centenary of the RAF. 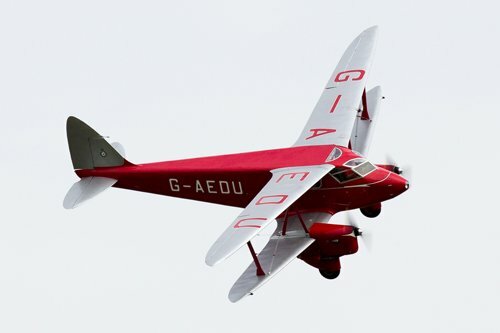 There are several local shows, fly-ins and club meets earlier in the year but for many years the Abingdon Air and Country Show had been regarded as the airshow season-opener. However, in 2017 it moved from its traditional Bank Holiday slot to a slightly later date and was pipped to the 'season-opener' title by the Season Premiere at Old Warden, held a week earlier. When it started the Abingdon Fayre was a country fayre with a little bit of flying, raising funds for local charities, but over its 17 year lifetime it has risen to become an essential part of the calendar for airshow enthusiasts. On the site of the former RAF Abingdon and part of Dalton Barracks. Opened as an RAF airfield in 1932, initially as a training station. Continued after the war as part of Transport Command and in the 1980s as a training base. Although RAF Abingdon officially closed in 1992, some military flying continues in connection with nearby RAF Benson and air cadet training. The organisers had hoped that this risk would be reduced by moving the show forward by two weeks, but in practice there were still early-season cancellations. Most disappointing were the two potential stars of the show, the Sea Vixen and the Lancaster. The Sea Vixen would have been the only fast jet to display at the show but it had to pull out a little more than a week beforehand because of "a combination of minor technical issues coupled with revised flying display requirements introduced by the CAA & MAA, and only [just] formally published in CAP403". The Lancaster was once due to make its post-winter debut here but in practice, like the Sea Vixen, it was not ready. A last-minute replacement was a DC3 Dakota, N147DC from Aces High. The other big attraction, Remko Sibjen's replica of a Commonwealth Aircraft Corporation (CAC) Boomerang, which would have been seen at a show on mainland UK for the first time, was also cancelled because the pilot did not have a UK Display Authorisation. Wing Commander (Retired) Terry Martin's 1960s gas turbine powered Westland Wasp XT787, one of the favourite displays of 2016, was damaged in a hard landing following a technical fault in September 2016, so its appearance was always subject to a full repair to display condition. Unfortunately, repairs were not completed in time and its return to displays was delayed beyond the date of the show. However, resilient as always, the organisers had a replacement in The Dutch Yak Association's YAK-3U, flown by Rick van der Graaf, and a second Yak 3, Will Greenwood's Yak 3U, was a late addition to the static line-up. Unfortunately, the Dutch Yak display, although it started promisingly with a steep climb after take-off, remained rather high and distant so, although a welcome substitution into the programme, it did not measure up to the Yak displays seen elsewhere on the UK airshow circuit. The Popham-based AN-2 Club's Antonov AN-2, which was also due to display in 2016 but had been damaged by strong winds and was unable to attend that show, made a welcome appearance and impressed with its low-speed abilities. A second Antonov AN2 (HA-ANG) arrived in the early afternoon to pick up the Jump4Heroes Parachute Display team for an end of afternoon drop. Another display returning to the schedule after a cancellation last year was Bob Grimstead's Fournier RF-4 motor glider. 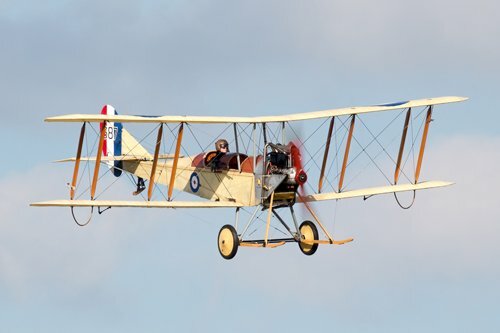 However, rather than being displayed by the owner, it was taken aloft by the very versatile Lauren Richardson, who arrived in her Pitts but changed mount for the display. 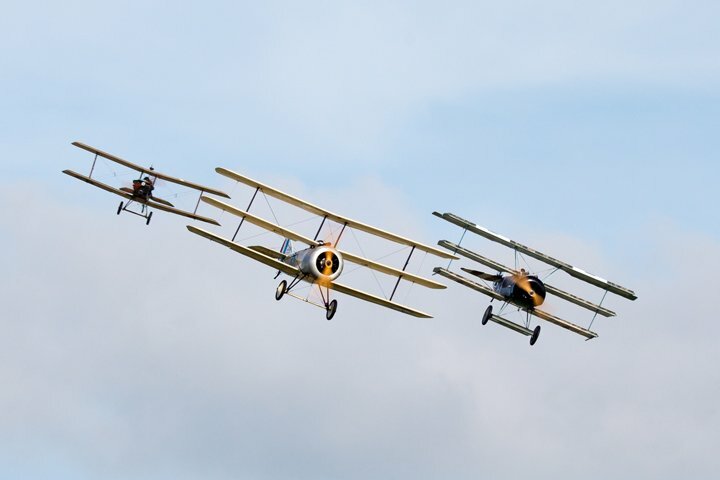 Eight aircraft of the Great War display team were at Abingdon for the first time, complete with pyrotechnics, to mimic the tailchases and dogfights that may have been seen 100 years earlier. 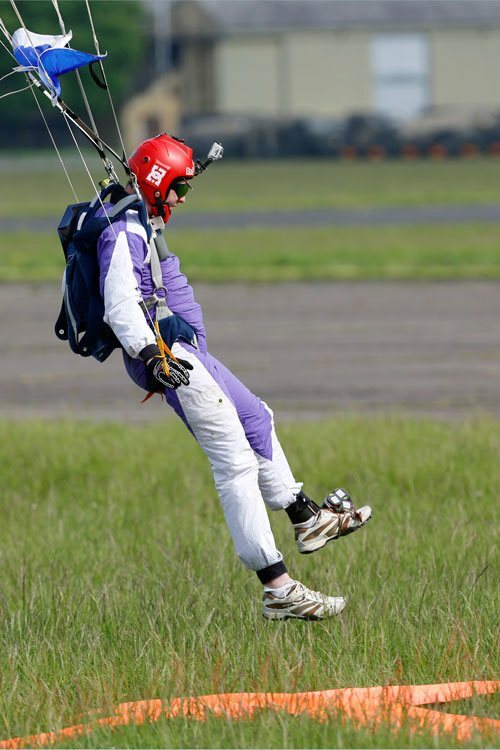 Unfortunately one, the débutante Avro 504K, developed an engine problem so the rest of the team retreated to allow Dan Griffiths to make a safe landing before the remaining seven resumed their display. An earlier incident occurred when one of the Twisters from the SWIP Team lost an engine during a wing-over and had to make a rather hard emergency landing at the northern end of the runway. The pilot was injured and taken to hospital, where he is expected to make a full recovery. Huge credit to the ground team who dealt with the incident swiftly and Ben Dunnell, the commentator, who kept the crowd informed. Proceedings were, of course, suspended whilst the emergency was being dealt with and this delayed subsequent displays to the extent that time ran out for Peter Davies in his autogyro and the solo Breitling Wingwalker, whose display would have been the first by any of the team for a few years. BBMF Spitfire PRXlX, Hurricane llc. The Lancaster was originally expected but was still undergoing winter maintenance. The once-anticipated Chinook did not appear; nor the RAF C-130. 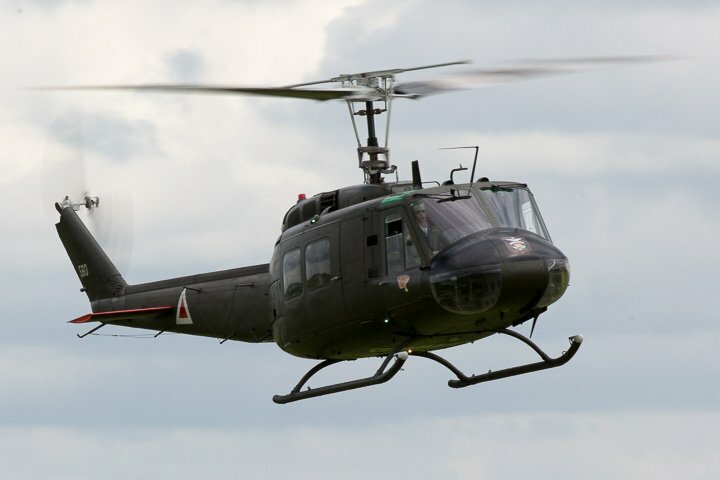 Rotaries were Historic Army Flying's Scout and Mark Fitzgerald's Bell UH-1H Iroquois, better known as the 'Huey', a type invariably associated with the Vietnam war. The Scout reprised its appearance at the 2016 show but without the Sioux, which was still in maintenance, flying with their Beaver instead. 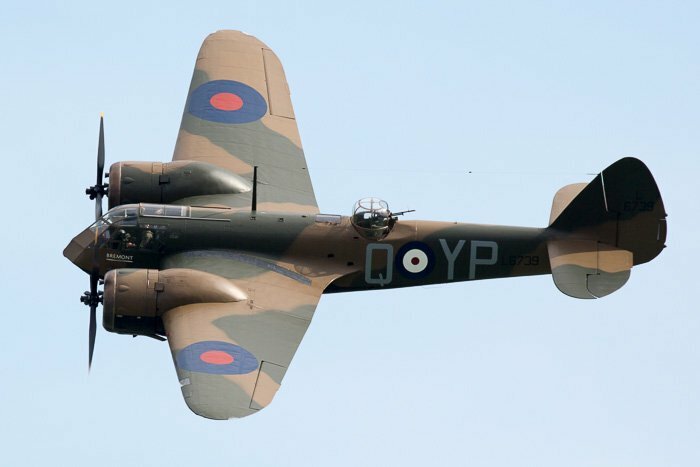 The pair re-enacted the kind of surveillance operations that were carried out in Northern Ireland, when the crew of a Beaver would seek out information for the crew of the Scout to probe further. The T-28A Trojan G-TROY, previously flying as a T-28 Fennec in French livery, was presented in its new USAF paint scheme. Unfortunately the light had gone by that time, being replaced by dark skies and rain, so the new USAF colours were not seen at their best. The rain also dampened the display, but not the energy or daring, of the spectacular Richard Goodwin flying a phenomenal aerobatic routine in his Muscle Biplane, a highly modified Pitts Special, deserving its registration G-EWIZ. The static aircraft park is always a big attraction at Abingdon and this year it was especially so. The biggest surprise was Martin Baker's rarely-seen Meteor WL419. This was a surprise to most, being a well-kept secret until just a few days before the event itself. Although there were no jets flying, a second, BAC Jet Provost T52 G-PROV, which flies out of North Weald airfield, was also on the static park, as was Mustang 'Miss Helen'. The RAF sent a pair of Tucano T1s and a Tutor T1. A Chinook and C-130 were both once due to attend but were later cancelled. Ironically, a C-130 Hercules did become available to fly past during the afternoon, but availability coincided with the incident involving the Twister so it was not allowed over the display line. There were 3 Yaks, including Will Greenwood's Yak3-U, and a shiny Ryan SCW-145. Late and very appealing additions were four aircraft from Shipping and Airlines at Biggin Hill including their very rare Dragonfly: one of only two examples still airworthy. A list of some of the static exhibits is at the bottom of the table. There were two cockpits to look at. Dave Webb returned with his Hunter WV381 and Robin Phipps was there with his Sea Vixen XJ579. Also on the aviation front, Tony Blackman, Avro test pilot, signed books on the Aviation Bookshop stand, where a variety of aviation books were for sale. A Mastiff Protected Mobility Vehicle was amongst the heavy duty kit brought along by 3 and 4 Regiments Royal Logistic Corps, who have been based at Abingdon's Dalton Barracks for 25 years. It was also possible to see some of their DROPS (Demountable Rack Offload and Pickup System) and EPLS (Enhanced Palletised Load System) vehicles. Weaponry and other equipment were displayed by Reserve Infantry of 7 rifles based at Edward Brooks Barracks, Abingdon. The huge Kenworth 12.6 litre Detroit diesel engine lorry was one of the imposing vehicles at the show. There was also a Spitfire Virtual Reality simulator from 322 Squadron Royal Netherlands Air Force and plenty of the County show elements including Cotswold Pheasant & Poultry club and other livestock, local crafts, vintage and classic vehicles, motorbikes and helicopter pleasure flights. X Factor contestant Ellie Mae, the band 'Radio Days', The Mangledwurzels & the Abingdon Rock Choir were part of the musical entertainment; the Abingdon Morris Dancers brought their unique performance and the Daleks and other characters from Doctor Who roamed the grounds. There was a change in the orientation to cope with some of the new regulations and to make it easier to demark the parking and show areas. As a result, this year, the show was on the other side of the main runway and there was a hard fence segregating the showground from the car parks. Arranging the show around the Dalton Barracks side of the airfield meant there was a little more space but that did not take away from the traditional country fair feel of the show. It did, however, mean new traffic and crowd control arrangements, causing logistical problems and resulting in long traffic queues, not only on entry to, and exit from, the showground, but also on surrounding roads. This generated impatience from show-goers and other users of local roads. Some of the problems may have been aggravated by unauthorised adjustment of the traffic lanes going in and a lack of marshalling of traffic going out. There were a fair few complaints as a result and Neil has accepted in social media statements that things didn't go as well this year as they should have done. It is important to remember that this is a very large venture being managed and assisted by a group of volunteers who may well have been let down by companies who were paid to marshall the traffic and handle the entry arrangements. We are sure that lessons will be learned and that those arrangements will be revised for next year. We should remember that this is a fund-raising event and that the sterling efforts of a small but dedicated team has raised cash for a variety of charities including over £70,000 for the Thames Valley Air Ambulance service to date. Dalton Barracks has been slated for closure in the medium term, so one day the show will have to either move or close. In the meantime the shape of the show may change, but we are quite certain that Neil and his determined team will pick themselves up, dust themselves off and start all over again. In 2016 the show certainly suffered its fair share of early-season issues. And some. This was to have been the first public display of the Sea Vixen in its inaugural season as part of the Royal Navy Historic Flight. Unfortunately, due to late-running essential work to the engine and associated repairs, Foxy Lady could not appear after all. Following the cancellation of the Sea Vixen, there was a conscious and deliberate decision not to have any jets at the show. This was because the relationship of the display line to the A34 may have proved problematic under the new regulations, which were beginning to appear as the show was being planned. Not only was the RNHF Sea Vixen cancelled, but the BBMF were also not able to bring the Lancaster, as once hoped, because of maintenance issues. Other cancellations included The Global Stars, because some team members were committed to a show in India. Just as the cancellations piled up, storm Katie came along. The AN-2 Club, were booked to show their Antonov AN-2 in a flying display and in the static park, where visitors would have been able to see inside this largest biplane in the world that is still flying. Unfortunately the AN-2 was damaged by storm Katie, so the appearance had to be called off. The Harvard was another victim of the same storm and had to cancel. As if that wasn't enough, a mix-up with insurance, which the organisers blamed on Joint Helicopter Command, meant that the Chinook and Puma, destined to be attractions on the static display line, had to cancel. And then it snowed! All this was against the background of the new charges introduced by the CAA, new CAA / MAA regulations that followed the Shoreham disaster, and that were still in a state of some flux and uncertainty, together with heightened supervision assuring adherence to the newly introduced and more distant flying lines. This would have been enough for many organisers to call the show off. But not Abingdon. Despite some obvious frustrations, the renowned resourcefulness of the organiser, Neil Porter, and his team ensured a full and varied flying programme at an entry price that is unbeaten for an airshow at any time in the season. There are lots more photos of the show on our Abingdon Air and Country Show photo page. 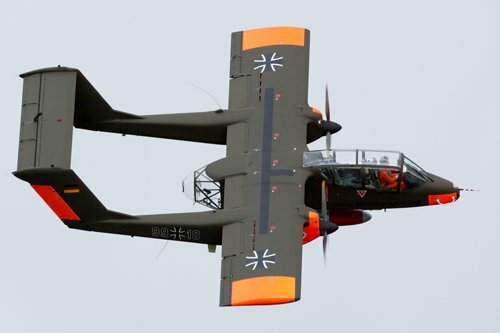 An Abingdon regular who returned in 2016 was Tony De Bruyn, fresh from the Bronco Fan Day at Kemble to the static park and the flying display in his Bronco OV-10, with its torpedo repainted for the 2016 season in its new 'Tiger' paint scheme. The lightest aircraft on the programme was the very impressive Lauren Richardson. Lauren arrived before the weather turned in 2015 but was unable to display because of the worsened conditions. Thankfully she had better weather fortune in 2016 albeit in gloomy skies and a gathering breeze. Abingdon always provides an opportunity to see aircraft not frequently displayed at major shows elsewhere. This year the role was filled by the Curtiss Wright TravelAir which arrived with the equally scarcely seen Miles Messenger and a Chipmunk. In 2016 ground attractions included a tethered hot air balloon from the Oxford Balloon Company and two from the RAF (although it was too breezy for them to inflate on the day), live music from Radio Days, Greg Pullum (Blues & Boogie) and the Oxfordshire Rock Choir; Irish dancing, Clog dancing, Thames Valley Police Mounted (Horses) Division demonstration, Search & Rescue Dog demonstration, local crafts, a falconry demonstration, ferrets, Williams F1 car, vintage and classic vehicles and motorbikes, World War 2 re-enactors, Sea Vixen and Fairey Gannet cockpits and military tanks. The tanks that were available on the dunes were a Russian T55, Austrian Saurer Schutzenpanzer 4k4fa, Vickers Armstrong FV432 and Diesel CVRT Scorpion. There were be tank rides, but no live firing this year. At a relatively small show like this the static park is especially important. It is easier here to get 'up close' to some craft that can only be seen in the air, or on the ground at greater distance, elsewhere. The static park, supplemented by the traditional show fly-in and out, is invariably populated with some impressive types including many of the aircraft that are to display. 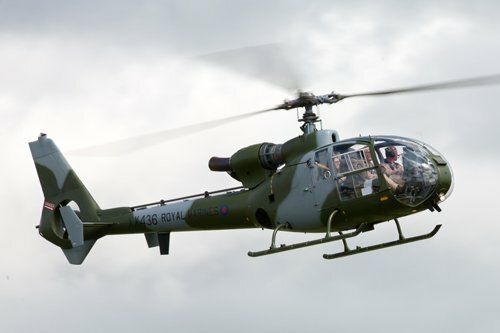 This year the static park featured a gathering of Gazelle helicopters and around 60 other aircraft including most of those displaying. Abingdon has not forgotten its roots as the Abingdon Fayre. At recent shows there has been plenty to entertain the whole family, including those who may not see the airshow as the main highlight. A variety of arena events have started before the airshow and continued through the day. There have been vintage vehicles of all types including domestic and military, four wheels, three wheels and two wheels: even working tanks, one of which, an Eastern Block T-55, toured the length of the crowdline and gave a demonstration firing before the air displays began in 2015 and before. A marquee has provided a wide range of musical entertainment. Stalls showed off local crafts and interests and there have invariably been animals, usually including Dr Mike Leahy of National Geographic TV fame, who brings along a zoo bus of reptiles, insects and other wriggly things to touch and stroke. Recent shows have also had birds of prey to look at during the day and see flying in the arena. For those of us whose main interest is aircraft, the shows have had plenty to offer. Lets be honest, there are likely to be disappointments. That is partly bad luck and partly a risk associated with being the first show of the season; vulnerable because maintenance and certification schedules don't always run to plan and also sometimes at risk from the unpredictable late Spring weather. However, at Abingdon the team work extremely hard to find substitutions and so reduce the risk of gaps in the running order. Dave Puleston shares his fuel in 2014. At Abingdon you can get close enough to see backroom jobs, not just the flying. For example, in 2013 the loss of scheduled RAF trainers was more than matched by the substitution of a flypast by the RAF's Tristar 2CA. In 2014 an early deletion from the programme, Peter Teichman's P40 Kittyhawk, was replaced well in advance by his Spitfire Xl. Other losses that year included the Army Air Corps Lynx AH7, fully understandable in view of the tragic loss of life in Afghanistan just a few days before, and the Grob Tutor because the fleet was grounded. The Catalina was still at Duxford undergoing maintenance; the Royal Navy Historic Flight's Sea Fury was also still having its winter service and, possibly most disappointing of all, the much-anticipated Midair Squadron Hawker Hunter T7 XL577 G-XMHD, whose paperwork couldn't be sorted in time. Peter Vacher's Hurricane Mk1 R4118 G-HUPW also had to be cancelled on the morning of the show because unsatisfactory ground conditions meant that it could not leave its home airfield. So are all these changes catastrophic for the show? Absolutely not. Even in 2015 when the very rough weather played havoc with the intended running order and caused around a third of the intended displays to be cancelled, the resilience that is typical of the Abingdon show means every year there is still a decent, if punctuated, programme. An example of this resilience in 2015 was the replacement of the Vampire Preservation Group's Vampire T11 with the Fennec T-28, but when that, too, could not appear because of a nosewheel problem, the RV8tors stepped in and opened the show. 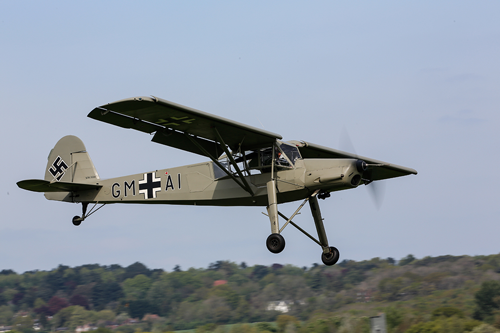 The most popular substitute in 2014 was Peter Holloway's infrequently seen Fieseler Storch, which hopped over from nearby Old Warden and truly fascinated the crowd with its ultra-short landing and take-off, as well as its ability to almost hover over the runway and apparently to move in all directions. Bearing in mind that this is a family show to entertain people with all levels of knowledge about aircraft, this appeared to be a most welcome addition to the programme, being so different to the other airborne contributions. Sharing top spot in the popularity stakes in 2014 was the Canberra, even without its intended Hawker partner. 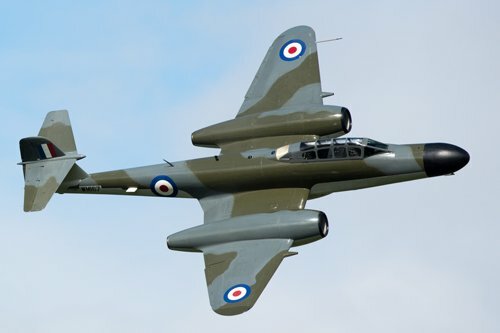 The previous public outing by the Canberra was its inaugural post-restoration display at Goodwood Revival in September 2013, when the weather was rather murky and rendered the paint scheme more grey than silver. No such problem at Abingdon, where the weather was perfect: the blue sky and bright sunshine giving this sexagenarian a brilliance that belied its age. Pilot Dave Piper was clearly keen that the entire crowd should see the Canberra in its first post-restoration season opener from every angle and in every configuration, including the bomb-door-open wheels-down dirty pass and ending with a howler of a fast departure, which had followed a slight pause and came as a surprise to many but a pleasure to all. The Canberra was a fine 2014 finale to a 3 hour programme which had also seen the first airshow outing of the RAF's only display at Abingdon: its Tucano in this year's extremely popular 'Lest We Forget' livery, featuring poppies along the cowlings and a huge poppy on the underside, commemorating the centenary since the start of the first world war. As these displays demonstrated, this is the place to see new routines, new aircraft, new displays, new liveries. In 2015 another 'first' for Abingdon was the much-anticipated inaugural display for the new season of the Typhoon-Spitfire synchro pair. Although not the Spitfire dressed in camouflage livery seen later in the season, the close and opposition flying of this new pairing thrilled the crowds, as did the first appearance at Abingdon of Peter Davies who threw his Calidus Autogyro around the airfield like a dog with a rag doll. The versatility of this craft has to be seen to be believed. The Abingdon Air and Country Show usually has some military involvement, vintage jets, WW2 representatives and aerobatics. 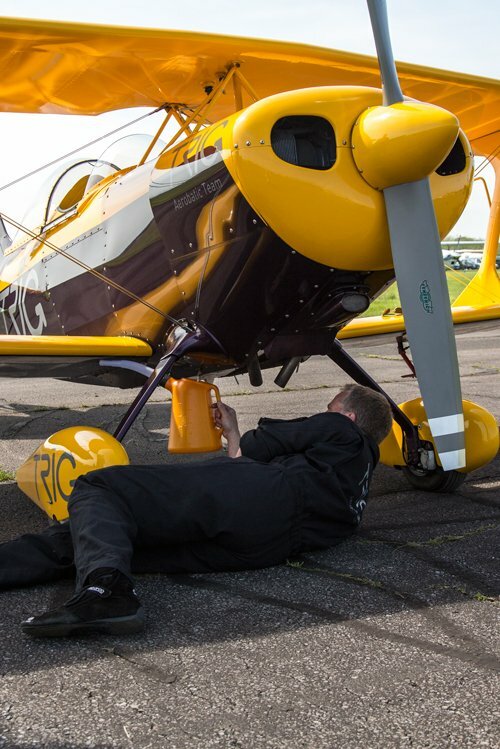 In 2014 aerobatic biplanes at the show included the Pitts Specials of the Trig Team. Richard Grace and Dave Puleston flew their usual ultra-close formations in these brightly painted diminutive aircraft which, like many of the other show contributors, had been on the static apron prior to the show. Being able to see the pre-display preparations by the teams adds hugely to the enjoyment of shows like this, so much so that many in the crowd choose to remain along the static crowd line rather than the flying line throughout the flying. Those watching Richard and Dave earlier in the afternoon would have witnessed a friendly sharing of fuel using pipes and a jug to even the loads between the aircraft. You don't see that at a seaside show. Despite all the difficulties in 2016, the show made a donation to the Thames Valley Air Ambulance donation of £8,000. The total donated to the air ambulance since 2007 is now £68,095.00 and an additional £16,800 has been raised for other charities since 2001 (as at Dec 2016). Abingdon is in Oxfordshire, north-west of Abingdon town and about 4 or 5 miles south of Oxford. Follow signs north from A415, not far from the junction with the A34, signposted for the event or for Dalton Barracks. If you already have a ticket, set sat nav to OX13 6JX, Gate B, Honeybottom Lane but, as with all shows, ignore the sat nav instructions in favour of local show direction signs as soon as you see them. If you do not have a ticket, follow sat nav OX13 6JQ as far as Barrow Road and then follow the show signs when you see them. The show's web site has detailed directions. There are links to route planners in the Travel Advice column if you prefer to plan ahead or don't have sat nav. National Express have coach services to Oxford, about 4 miles from the airfield. There is no railway station in Abingdon but the Oxford to Didcot line runs nearby. The easiest place to aim for is Oxford, about an hour by train from London, and about 4 miles by taxi or local bus from Abingdon airfield. City4 bus goes from Oxford centre to Abingdon. Click the blue Expedia name for a list of hotels and guest houses in or near Abingdon. The venue is already built into the link, so when the list comes up you just have to adjust the dates, number of rooms and guests as necessary. The International Hotels Group have nearby Holiday Inns and a Holiday Inn Express (search for Oxford, not Abingdon) and there are two nearby Premier Inn hotels.